Noted women’s fashion expert Michael Bloomberg rejects the premise that Bill de Blasio’s landslide victory was a referendum on his time as mayor. 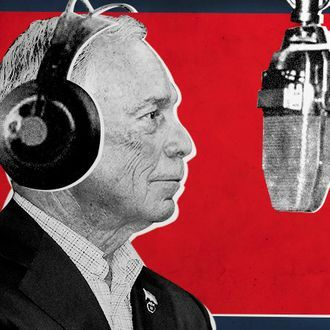 “This campaign was not so much anti-Bloomberg or anti-Establishment — it was a change,” he said on the radio this morning. “I liken it to hemlines. You know, hemlines are fine [one way] but next year they move ’em up or down because people want a change.” If Bloomberg is a pantsuit, De Blasio is one of those flowery hippie dresses.